Vegan diets always get so much praise due to their benefits towards our health and the environment. Regardless of that, you will always run into people that are still concerned if such diets can provide all necessary nutrients. Thankfully, with the abundance of resources out there it’s that much easier to find dishes suitable for all dietary needs. 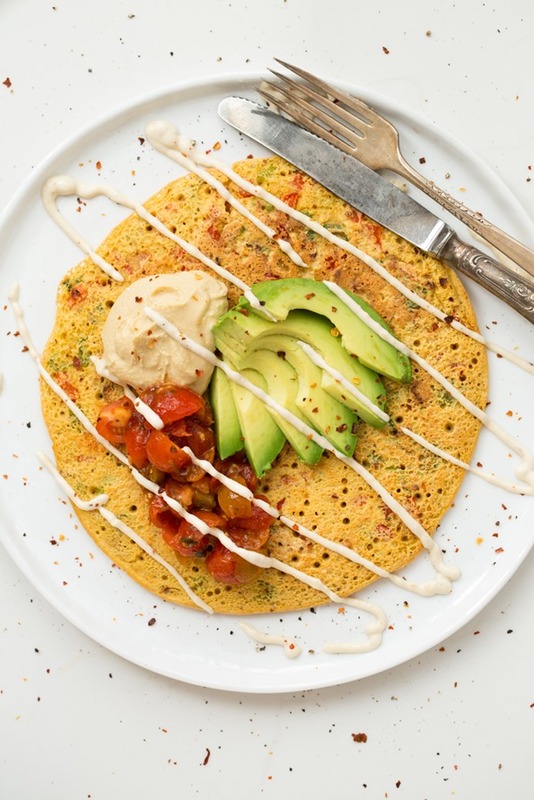 Look no further than these high-protein vegan breakfasts with enough plant power that will kickstart the day for you and even your non-veggie mates. 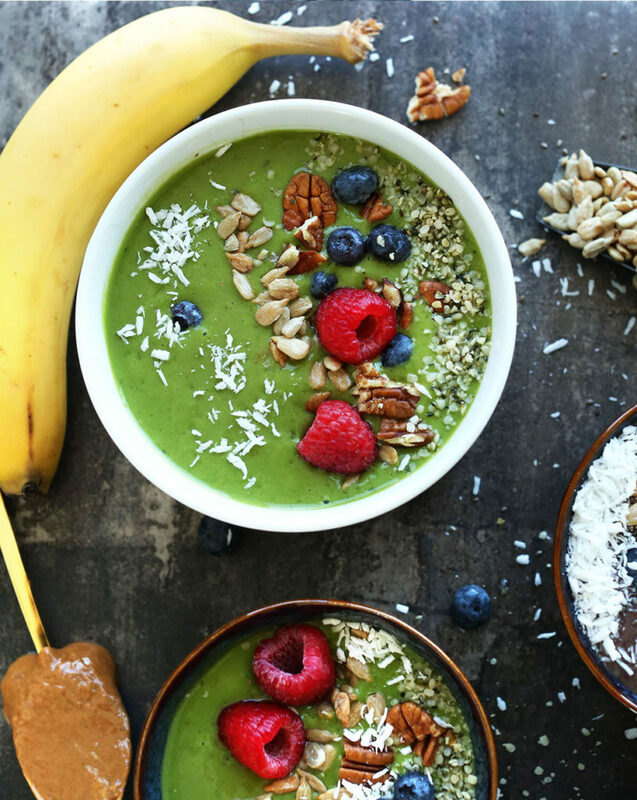 #SpoonTip: Protein content is an approximation calculated by adding the grams in the ingredients that are considered a source of protein. It is subject to change depending on optional toppings. 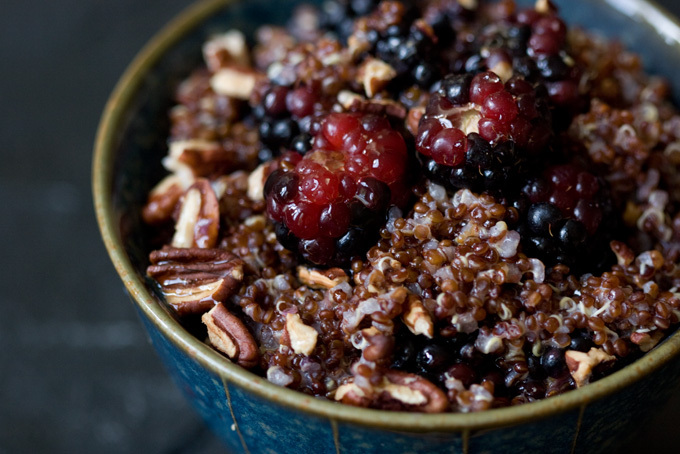 Say what you want, quinoa will always be a delicious and smart choice. Check out this simple recipe here. 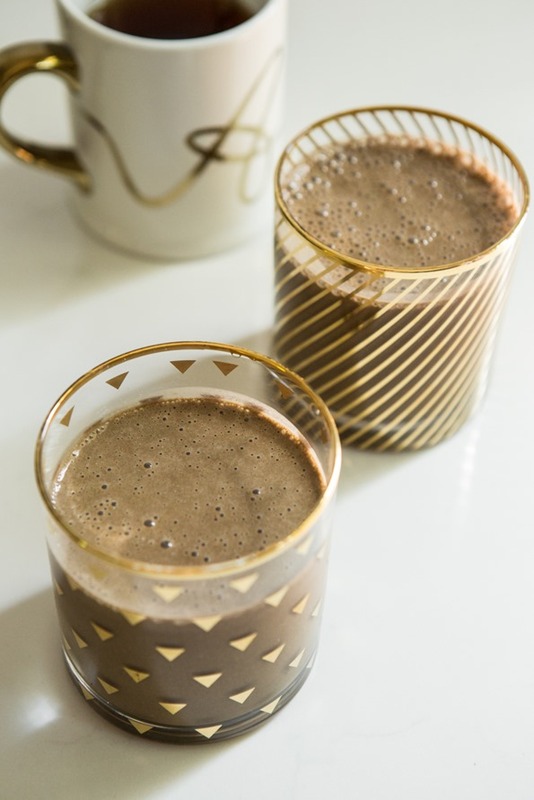 For the ones who don’t have a big appetite in the morning but need something quick and energizing, this recipe is for you. We grow up with our parents tricking us into eating our vegetables by hiding them in our sweets, but why should we stop now? Get the recipe here. 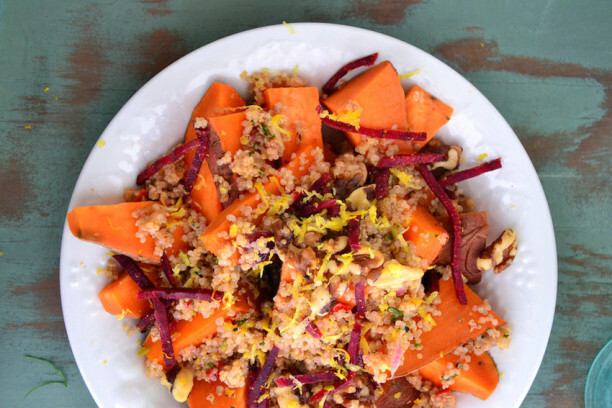 Because sweet potato and quinoa were a match made in veg-heaven. Make this simple dish now. 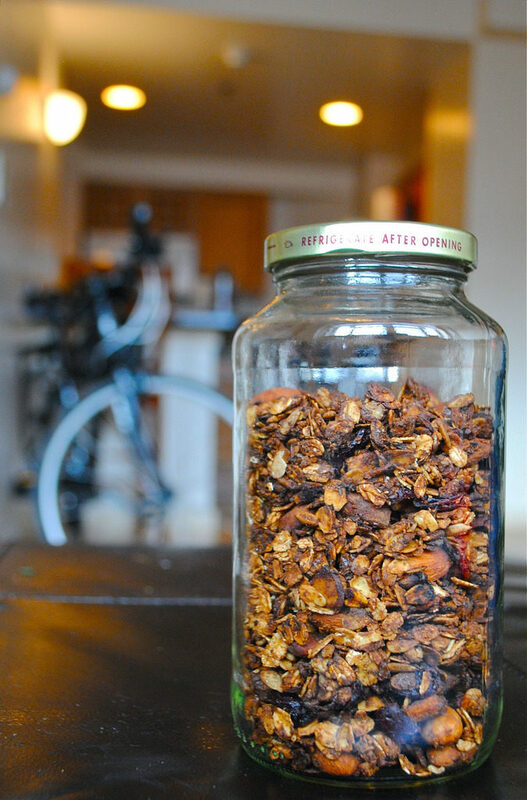 Never buying granola again after realizing how easy and healthy this recipe is. Fun fact, buckwheat isn’t a grain but actually a fruit seed that’s related to rhubarb. This means it’s suitable for those who are sensitive to wheat and gluten. 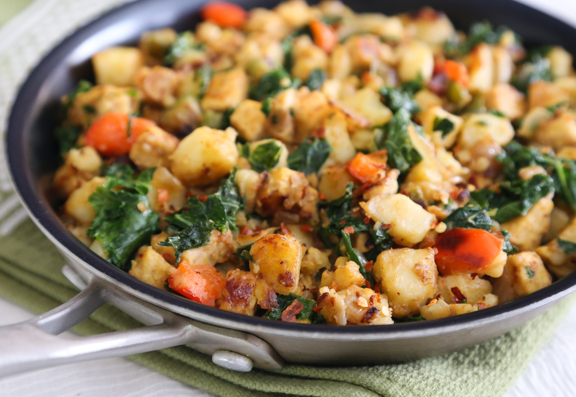 Guarantee yourself a protein and nutrient packed meal with this recipe. Akin to tofu, tempeh is another soy-based product not only filled with vast amounts of protein (31g per cup) but also tons of other nutrients that is said to help U.S adults increase their folate, vitamin K, calcium, magnesium, iron, and fiber intake when replaced for meat. Whip up this complete nutrient package now. 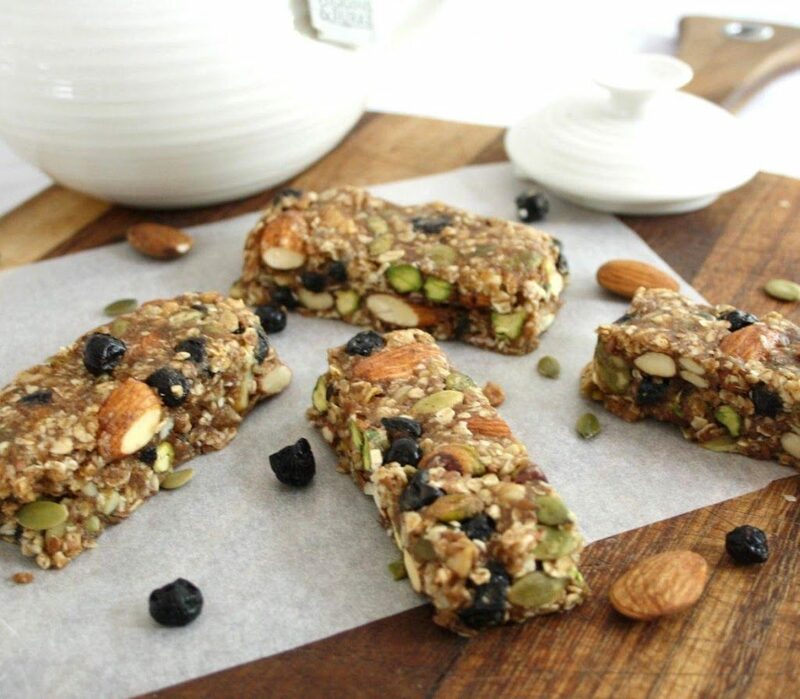 Being vegan doesn’t have to stop you from enjoying pleasures such as those found in this recipe. 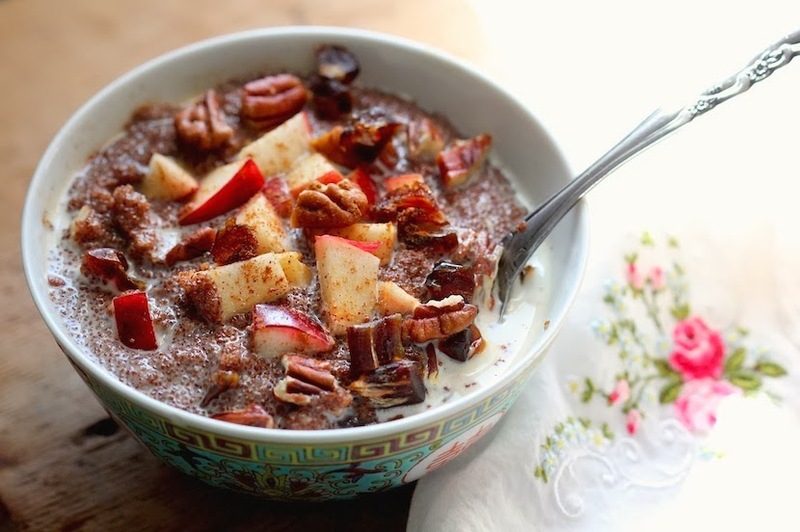 It’s like bringing fall to the breakfast table, but healthier. Make this now. For some, protein powders just won’t do. 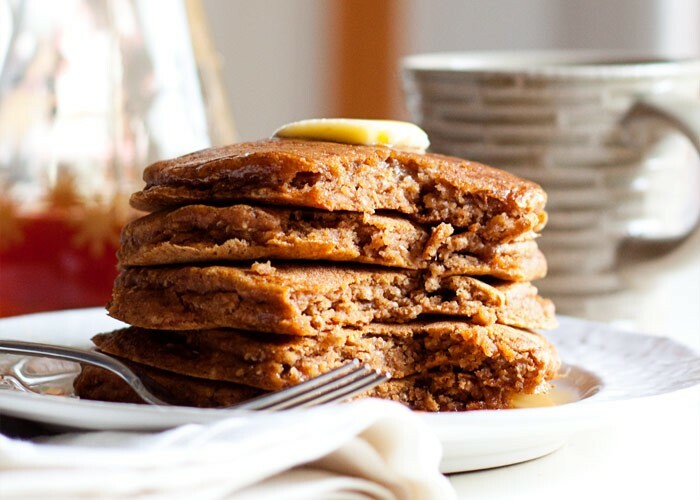 Instead, this recipe uses a more natural, whole-food source that not only is an abundant source of protein, but also in fiber and various micronutrients. We’ve made brownies with them, so why not smoothies? 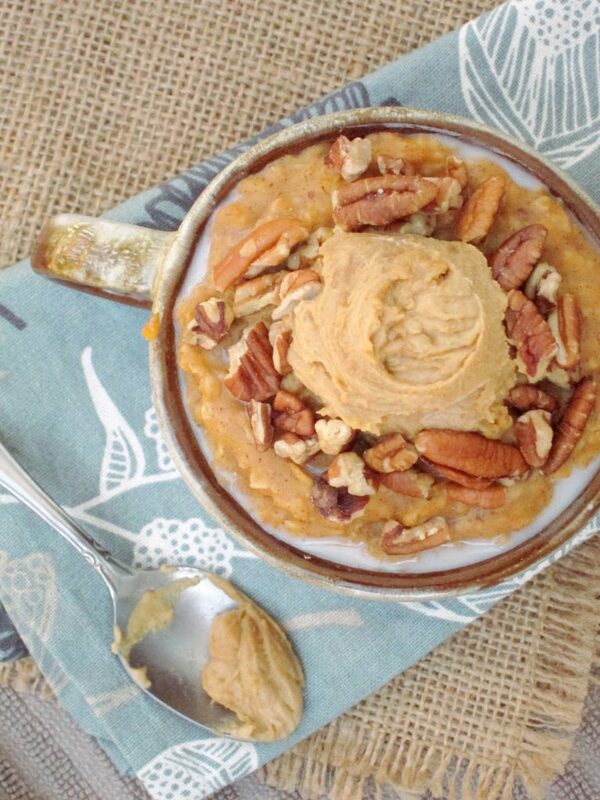 Is there anything sweet potato can’t be good for? 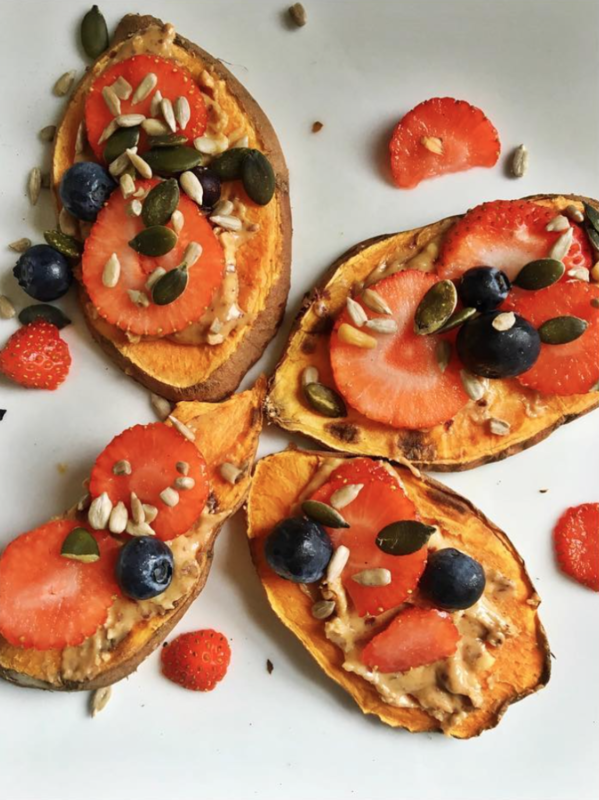 Brighten up your morning by popping some slices of sweet potato into the toaster and top it up with your favourite protein sources (nut butters, seeds, etc). Feeling something savoury? 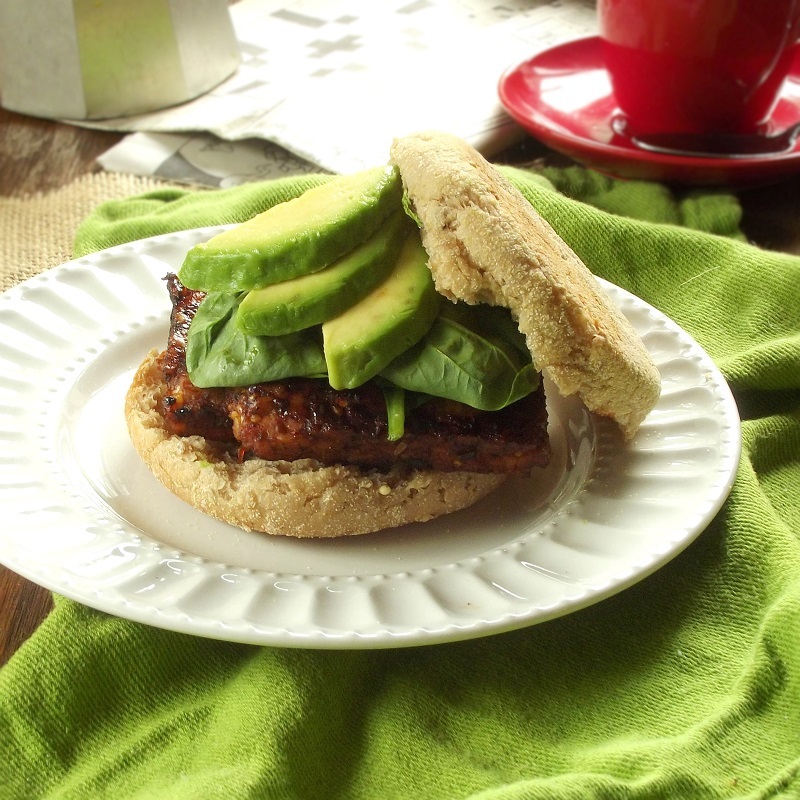 Check out this variation with tempeh, avocado, beets, and sunflower seeds. Bringing bliss to your breakfast in every bite. 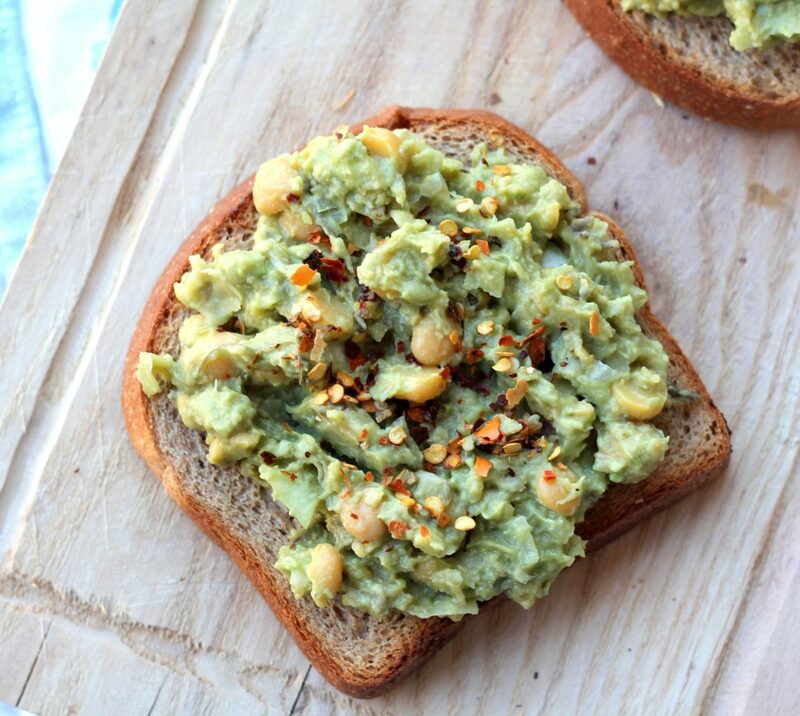 Quick and easy, even the laziest college student could whip this up. 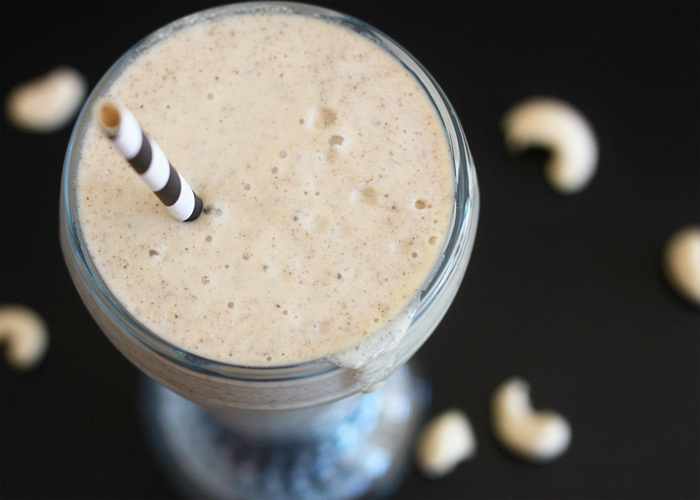 This drink is like your old-school diner milkshake only without the added sugars. 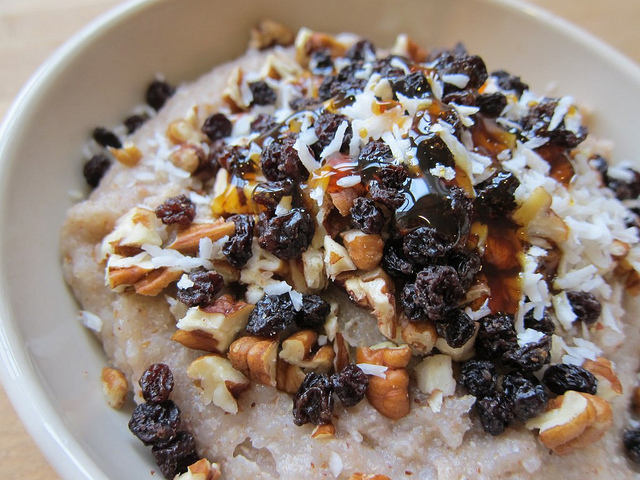 Author recommends adding some hemp hearts and flaxseed meal for extra protein. I guess there’s no harm in experiment with other nuts or nut butters either. 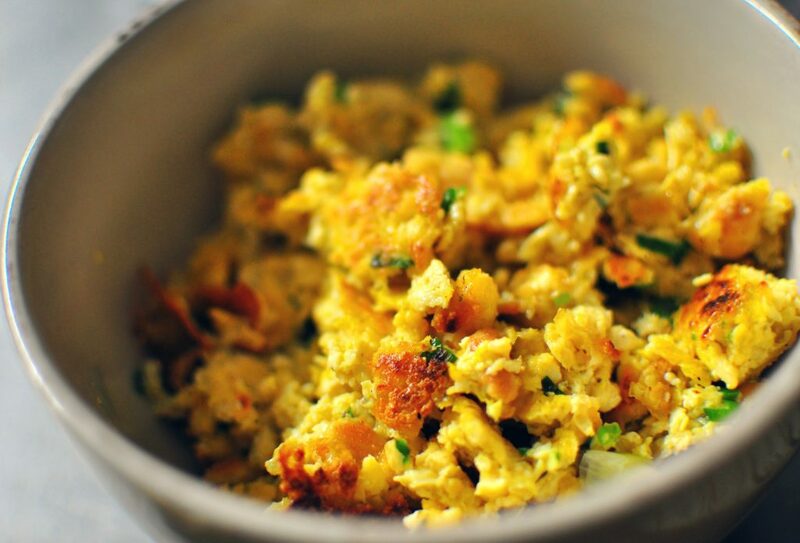 If you’re looking for other faux-scrambled egg options then this recipe is for you. 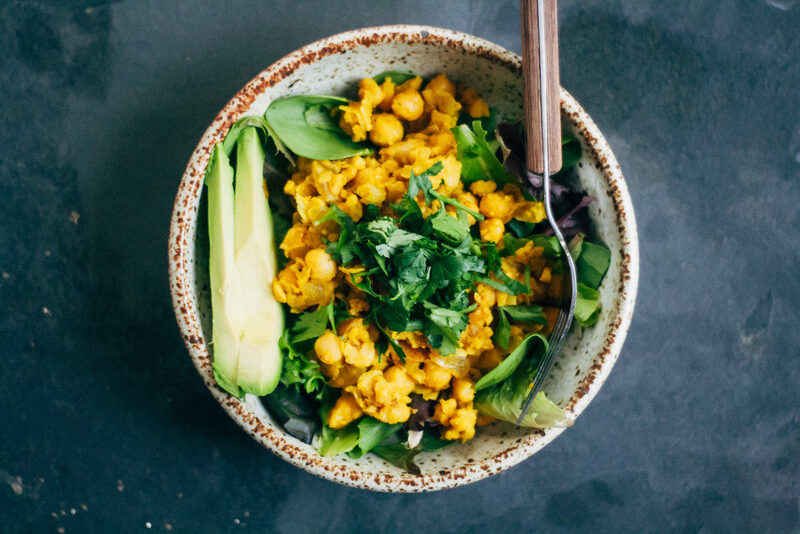 Thanks to the aquafaba, the chickpeas gain an “egg-like” texture, and can satisfy your morning cravings just as much. Almost like having a burger for breakfast. Get the recipe here. 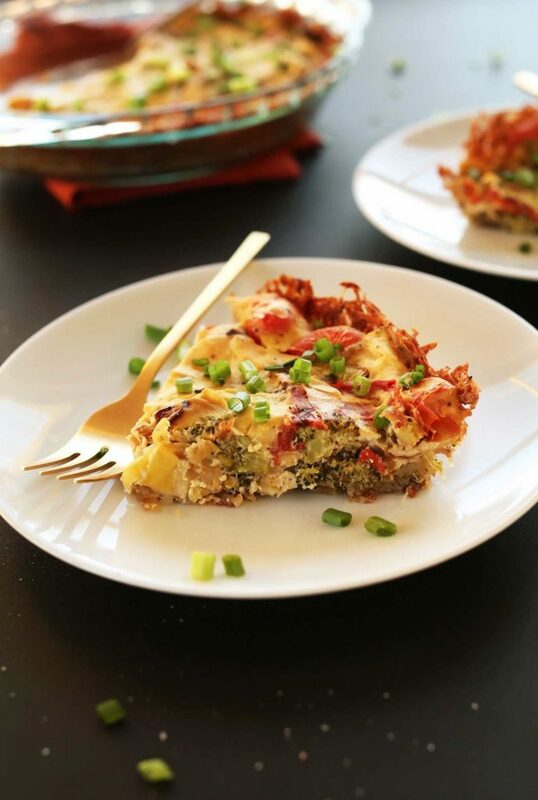 This recipe is perfect if you’re looking for a make-ahead brunch that doesn’t consist of baked french toast or an egg-based casserole. Simple, satisfying, and totally versatile. Bringing out this dish will win over anyone for any occasion. This recipe acts more like a base to help you figure out what could work and what could taste well. 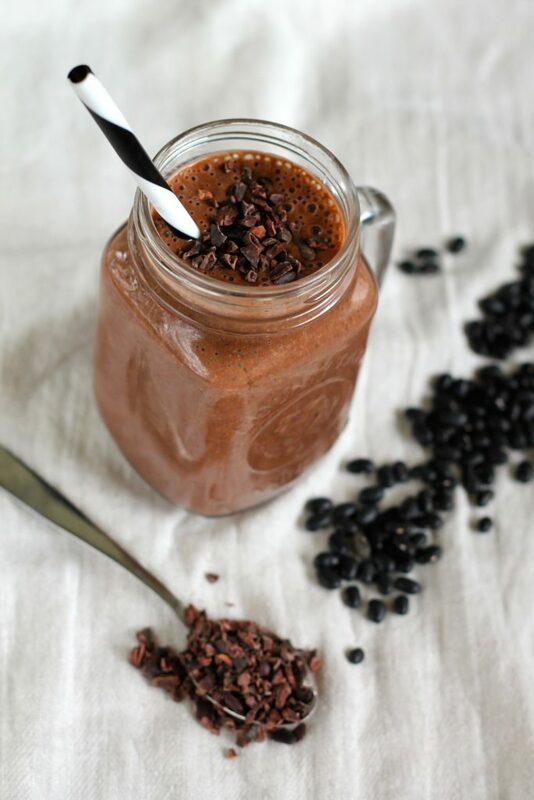 But in the end, what gets blended is all up to you – experiment with nut butters, different fruits and vegetables, and various seeds or even muffin crumbs for the toppings. 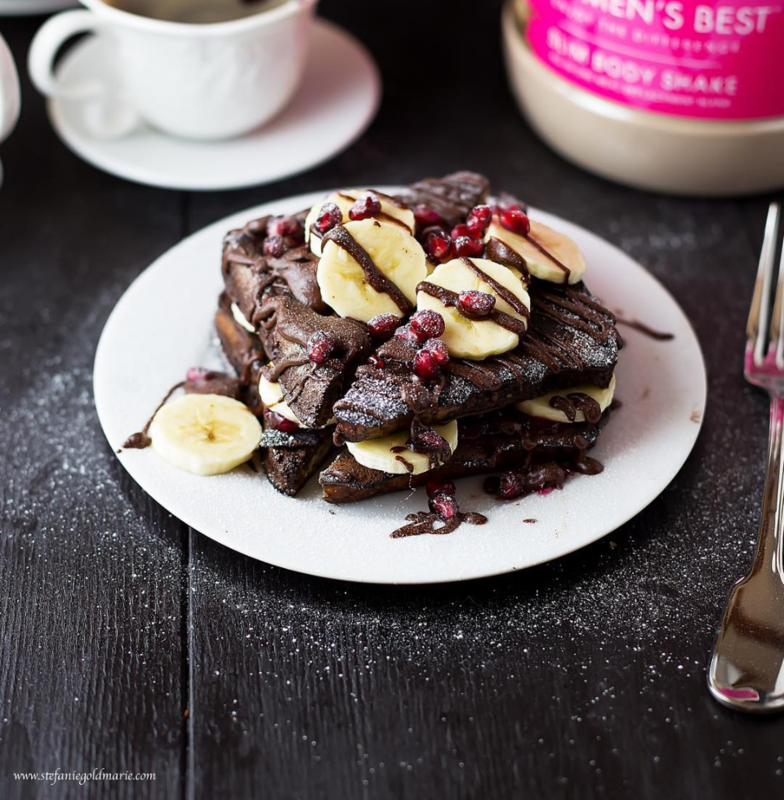 Play around with the toppings or fillings and to easily rank up the protein content of this recipe. Also gluten-free for those interested. Get the recipe here. 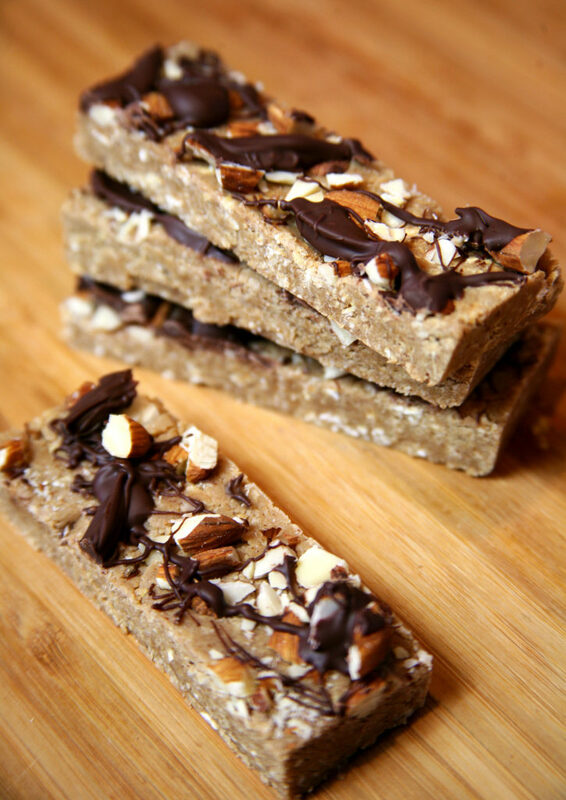 Includes a kick of protein with a touch of coffee. 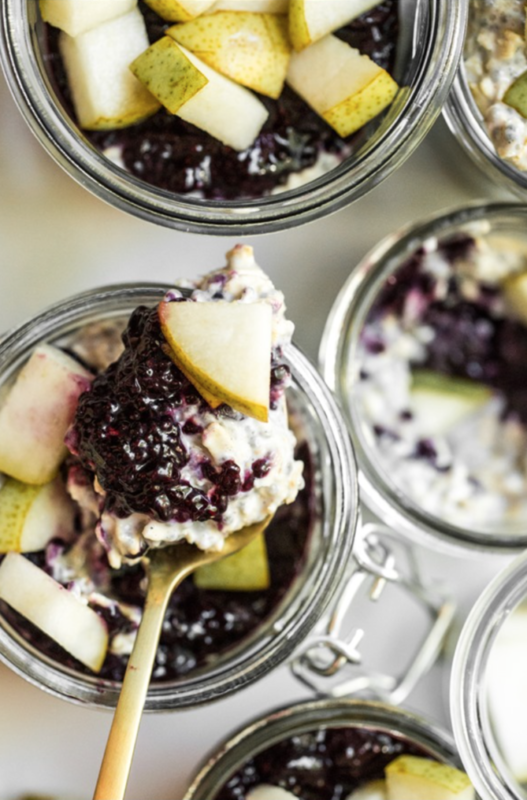 This recipe is the perfect wake-me-up. 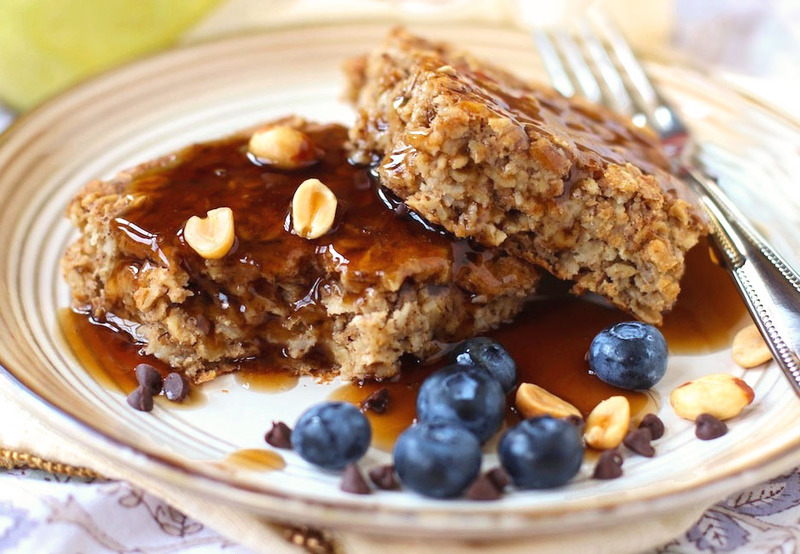 This recipe has go to be one of the easiest and most satisfying on-the-go vegan breakfasts. 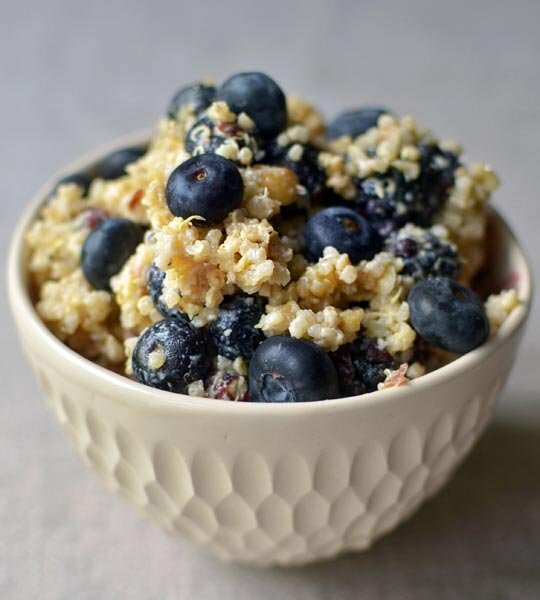 Feeling too hot for a warm quinoa bowl? Make this dish fresh and then store it in the fridge to chill. Cooked leftovers taste just that much better the next day. 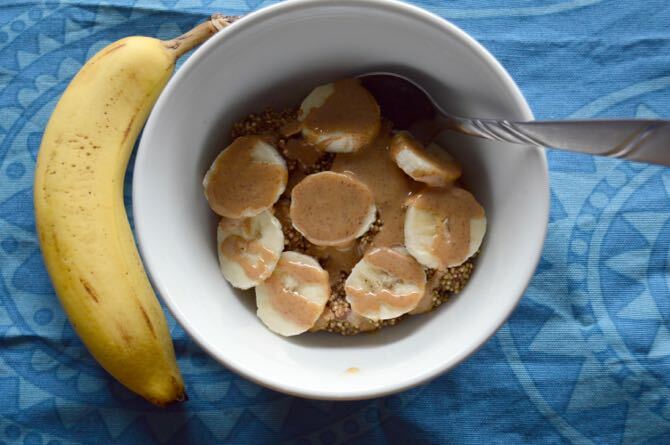 If you’re not into the peanut butter craze, check this recipe out. The spice is totally right with this recipe. Curry not your thing? Check out more variations here. It will be hard not to eat this all in one sitting, but it’s good to know that this chia seed pudding can last a few days in the fridge without compensating its taste. 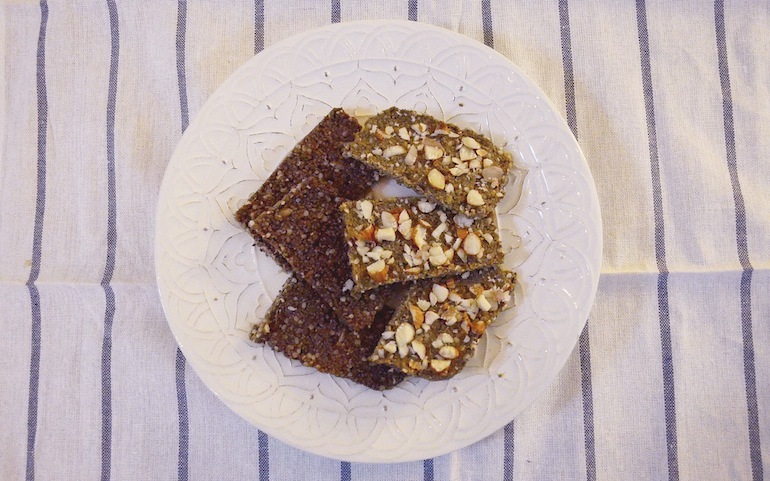 Did you know it takes 100 kernels of teff to make one kernel of wheat? It may be the smallest grain in the world, but definitely not the smallest in nutrients – packing in calcium, iron, fiber, and tons of protein. Feel free to adjust the recipe to your needs.